Sunday waffles. My tip for the best waffles. Warm up the syrup. 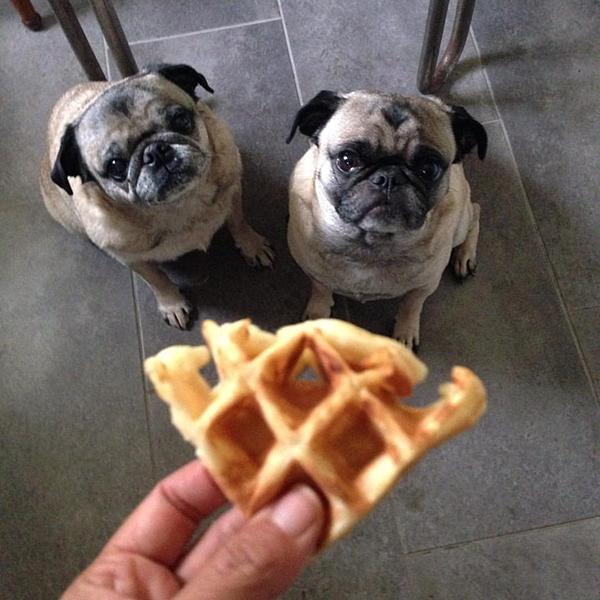 The pugs don't care if there is warm syrup or not. Lovely little dogs! 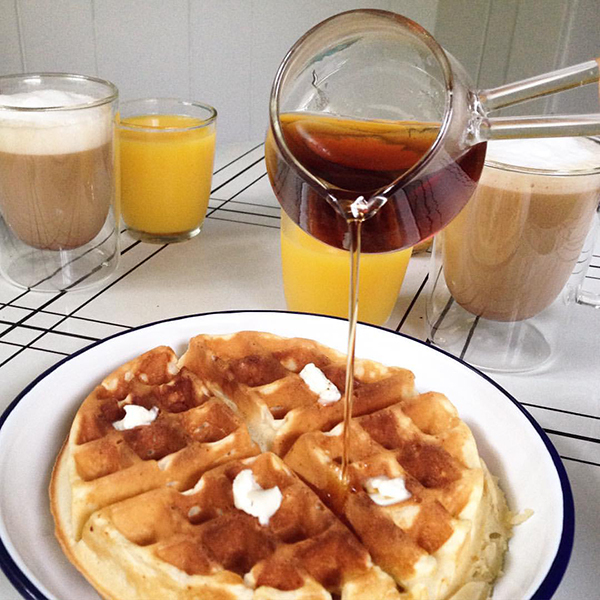 I never thought waffles are a good Sunday breakfast!